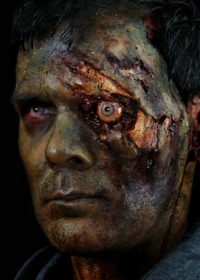 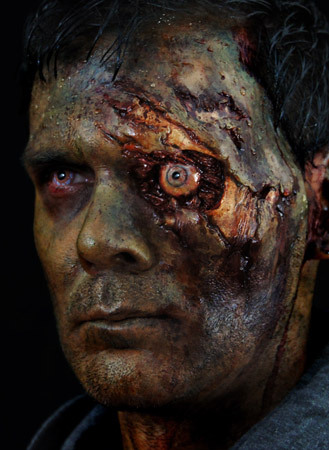 This Exposed Eyeball Prosthetic can be used to create a range of looks; a zombie, a cyborg or just a gory wound – comes complete with a range of eye transfers so you can get a perfect pupil effect! 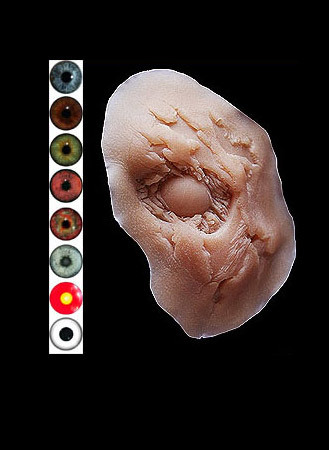 Want to try a few different looks on the prosthetic eyeball? 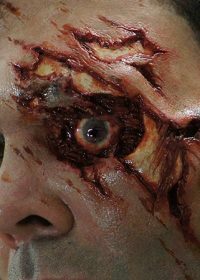 Add another set of our Water Slide Transfers to your order. 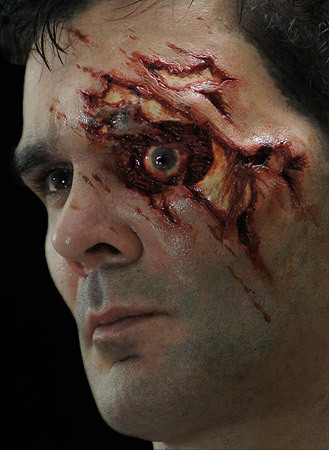 Amazing prosthetic, easy to use and adjust to fit any face or look you’re trying to get! 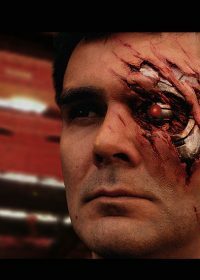 I turned my roommate into a Terminator! Versatile, and horrific. 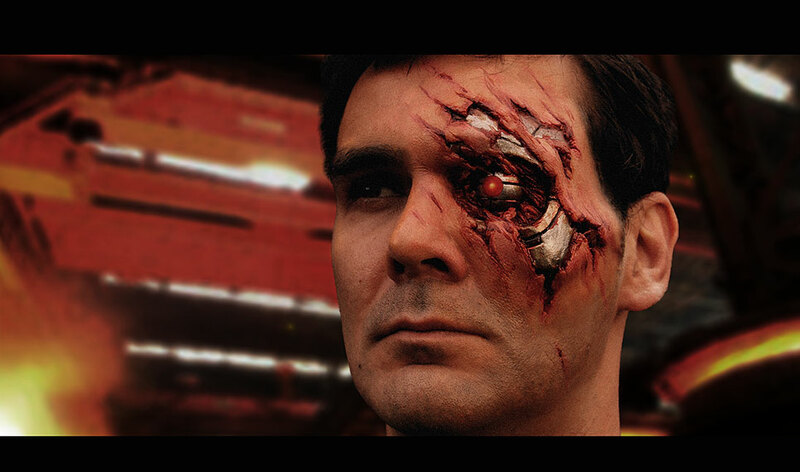 Nothing else needs to be said, it’s superb.